I appreciate them taking the time and trouble to write a review. I really do; people are so busy these days, they don’t always get round to it, however much they enjoyed a book. I’m very sorry this reader was disappointed, but I’m pleased they enjoyed Carina’s story in the first three. But this comment set me thinking. Roma Nova is an imaginary country (Gasp!). The people who live there are not documented historical figures. But as a storyteller I try to make it as realistic as possible; characters do heroic and stupid things, the weather isn’t always sunny – it rains and snows, traffic jams alternate with beautiful scenery. Like any country Roma Nova has its own history. In our real timeline, who today doesn’t have an older relative who remembers ‘the war’? We know exactly which war they are talking about because it was such a formative experience for that generation and the following one. 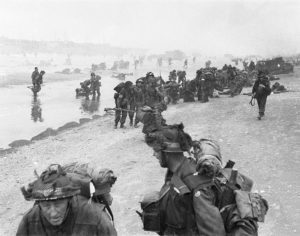 My father was at Dunkirk in 1940 and went to France on D-Day+4 in 1944; my mother, a teacher by day, drove ambulances during bombing raids by night. For me, the grungy 1970s and growth-spurted 1980s when I spent time in uniform were my formative years. So when I decided to build the world of Roma Nova in an alternative timeline, I incorporated its ‘long’ history back to the end of the 4th century AD as well as its ‘short’ history of the Great Rebellion in the early 1980s. As Carina, brought up in the Eastern United States, was facing her challenges in INCEPTIO, PERFIDITAS and SUCCESSIO, her grandmother, Aurelia, and others such as Conrad and Quintus Tellus, and Imperatrix Silvia had strong, and grim, memories of that rebellion which coloured their behaviour, values and attitudes in those three stories. And they occasionally referred back to those times in the same way our parents and grandparents refer to ‘the war’. We know what happened in the past. We know who won, and who lost. Look back at 1066. Much as we may dream or speculate about or devoutly wish for a Saxon England beyond that date, it didn’t happen. 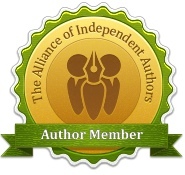 When my writing friend Helen Hollick wrote Harold the King, she couldn’t alter the outcome. But I was so caught up by the writing and characters, I was as optimistic as any Saxon that they would prevail. But in my logical brain I knew the outcome – it was probably the first date I learnt in school. However, it didn’t stop me enjoying the story. But when she and fellow author Joanna Courtney invited me to join a group of writers to consider different possible outcomes for that tumultuous year in English history, I leapt at it. Alternative history was, and is, my special area of writing fiction. Perfect! 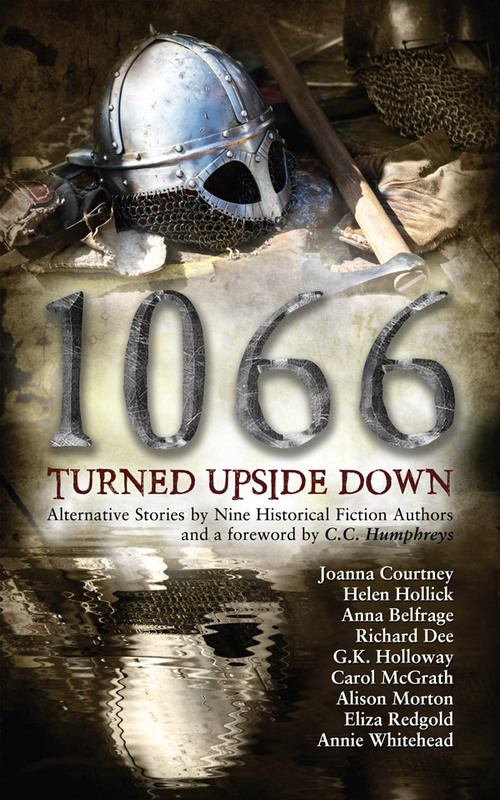 The result, published in the run-up to the 950th anniversary of the Battle of Hastings, was 1066 Turned Upside Down. Several stories are written by medieval fiction specialists, but some were by those of us who were not. I had a great deal of fun inserting an 11th century Roma Novan into the mix. We knew Roma Nova would survive into the 21st century, but it was under a great deal of pressure at that time as its big cousin, the Eastern Roman Empire (the ‘Byzantine Empire’ as we call it now) was exerting its power, wealth and influence across a very wide area. 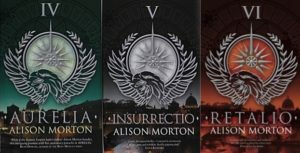 When the second Roma Nova trilogy goes back to tell the story of Aurelia in the second half of the 1960s (AURELIA) and the early 1980s (INSURRECTIO, and RETALIO, we know she will survive, as will Quintus, Conrad and Silvia. The intrigue, I hope, is how and why they did what they did, whether they acted well or not, and what gains and sacrifices occurred. And what the consequences were for Carina’s generation. And I reveal some secrets from the past that only the characters themselves would know and which even puzzled me when I was writing the first trilogy. Being inquisitive by temperament, I like to know the background to things, people and events; in short, why they are like they are. This is why I read historical fiction. I’m sorry my reader didn’t share this; perhaps they aren’t as nosy as I am. 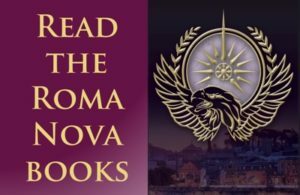 But as we edge toward the climax of the Aurelia trilogy, I hope the story will be sufficiently enticing for readers to want to know just what Aurelia had to sacrifice at the time of Roma Nova’s civil war. I think with any series this is going to be a common ‘problem’ – especially if a prequel-type is included. (I’m in the same position, I’m writing a ‘what happened first’ as opposed to a ‘what happened next’ adventure for my pirate, Captain Jesamiah Acorne) As you say, especially in historical fiction, we know the ending anyway; for my series, the reader knows full well that Jesamiah will get out of the deep trouble he is in – because there will be another book in the series ergo he has to survive (although when we get to book six Gallows Wake… maybe not…?) The fun, the adventure, the journey, the ride – the whatever – comes with being eager to know HOW he gets out of it! 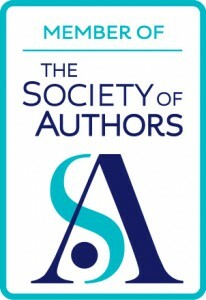 So it is the same with any series – we know the characters, we know what happened as each book comes out – but a good writer will reveal that little bit extra information the ‘oh I see that’s why x, y, z, happened in book 1, 2, 3…’ and Alison, you are a brilliant writer, which is why your books – including the backstories – are so fantastic to read! Yes, the same ‘problem’ emerges when you writes a series. But the characters change through their experiences, other characters enter the arena and are affected by or affect the main protagonist.Some leave, some stay. the second trilogy explains quite a lot of the tensions behind the first trilogy. All good fun! First, I want to say that I love that you chose a picture of actress Gladys Cooper for the older Aurelia. She was such a beauty throughout her life and memorable in so many parts. On prequels: If I like the characters and the world in which they live, I always want more stories. It doesn’t matter if the story is set in the past of that world. If it’s a good story, it will shed light on the development of that world and those characters. And whoever we are, we’ve become those people in a large part because of our past. I wondered if anybody would recognise Gladys Cooper! In my imagination, she’s always been Aurelia. 😉 I remember her playing tough, upright and rather daunting characters, but ones who showed warmth and compassion. I love investigating a character’s past it adds such a dimension to their present. And when I discover a prequel or short story featuring a character I already know from another book, I jump on it and devour it. One of the fascinating things I’m finding with my character/s is that although I do have a CV for them (mainly Jesamiah and Tiola) by delving back into their past I am also discovering new things – and it can mean meeting characters again who have died in the main series – or slotting in ‘bit part’ characters so they get a bigger bite of the cherry. As Alison says – great fun, mind you, hard work because you have to be careful that everything ties in and you get the facts right. Oh, how true that is! Whether you use a spreadsheet or time grid/index of each book or have a damn good memory, you have to make sure you line everything up correctly. I do confess to scattering little ‘Easter eggs’ through my two trilogies, some some small mysteries are only solved in other books in the series. ;-). I’ll just add another book to your examples. 11-22-63 by Stephen King. I was 11 and very news-avid on the day John F. Kennedy was shot. What possibly could a book about that date tell me, if one assumes that JFK dies in the end, as the blurb made clear he did? I carry a library of engraven images in my mind. I know who else was shot in the motorcade, why JFK and LBJ came to Texas that day, and even remember the name of Lee Harvey’s wife. I thought a novel woven around that date would detract from my memory of real events. I was wrong. Around well known events, which are placed accurately throughout the book, King weaves a fabulous novel. We know the ending … JFK dies. But all the rest of the story, all of what happens to the characters we care about, we don’t. How you … how King … pull off the feat of taking an ending we think we know and telling us, in the words of the late American commentator Paul Harvey, “the rest of the story” I don’t know. It is magic, a gift, an art and the hard work of the storyteller. Thankfully, although I cannot write creative fiction, there are those of you who do for me to enjoy. Thanks Ms. Morton. Thank you, Jon. 11-22-63 is a terrific example. Of course, with Stephen King we are in the hands of the master; he could make the back of a a corn flakes packet exciting. Well, the past always reveals something interesting; even we are startled when we remember an experience in our childhood. But even looking back years later, we sometimes see something we thought was insubstantial but turned out to be significant. I think of the second Dune series written by Frank Herbert’s son and a colleague. The entire series is a prequel, set before Leto came to rule Arakis, While it may not have captured the imagine as Dune did, it was a credible series,and even it had a prequel. How well a prequel fares depends on how many unanswered questions readers harbor. Oh, yes, the second Dune series – excellent example. I feel in good company with the Aurelia (prequel) trilogy. I hope to answer those unanswered questions from the first Carina trilogy! This is exactly why 1066 Turned Upside Down was so much fun to write and, hopefully, is also fun to read. Every single time I watch the Battle of Hastings re-enactment I pray Harold will win, in the same way as I foolishly watch recordings of sporting events hoping, very much against hope, that it might turn out in my team’s favour this time even if I know the result already! It is, I guess, a triumph of optimism and imagination that we can even believe it might be possible when it clearly isn’t but I hope it also tells us that much of reading history, especially historical fiction, is in the journey not the destination. Prequels simply aren’t everyone’s cup of tea. I always enjoy finding out more and a prequel can be the perfect way to do that. Very true, Christoph. Personally, I adore prequels. I feel I’m getting into the story behind the story and seeing what formed the characters. Back stories are always a part of the present and the future – in real life, so why not in fiction? Actually, writing about historical events and characters are, as you pointed out, not so much about outcome, which is known, but the whys and hows and all those nuances and personal experiences and feelings, etc. I applaud you for taking on the challenge and risk with doing a prequel. Having fought in the reenactment of Hastings and died valliantly, I still wanted the English to win. Didn’t stop me from trying to kill as many villainous Normans as I could, enjoying myself in the process, and still thinking I could change the real outcome! Great post Alison. Thank you, Paula. There are many occasions, some more recent than others when we wish the outcome had been different. However, if we can get over the Norman invasion, albeit it took several hundred years, I guess we can get over anything.